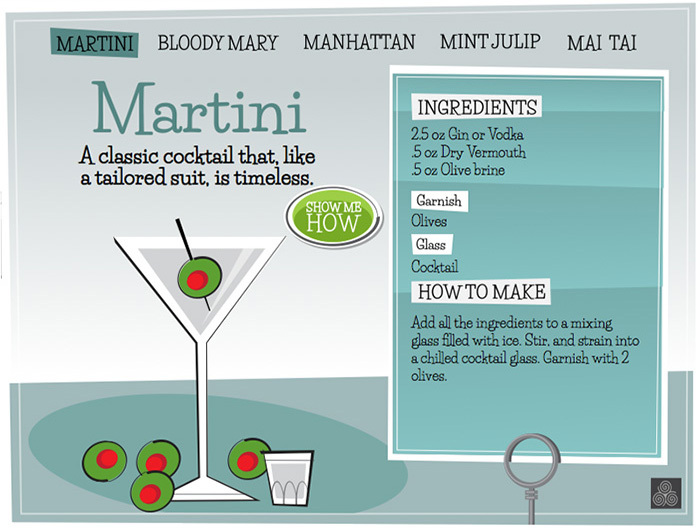 Cocktail Trends is an interactive component built on web standards with Adobe Edge Animate CC. 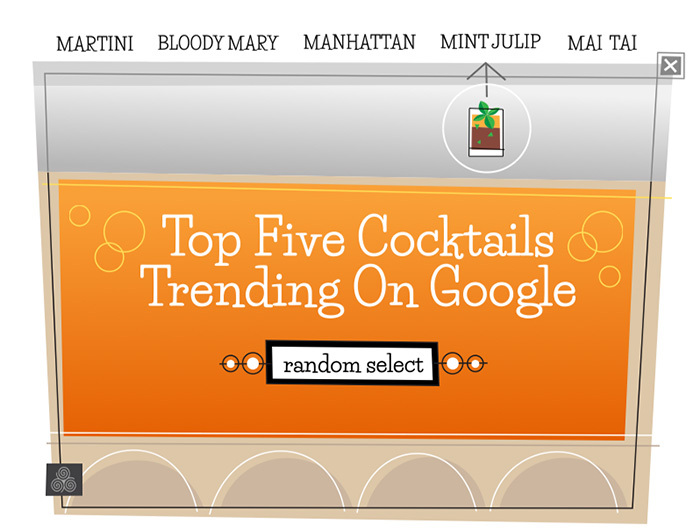 Cocktail Trends instructs the user on how to mix the five most popular cocktails trending on Google as of September 2013. 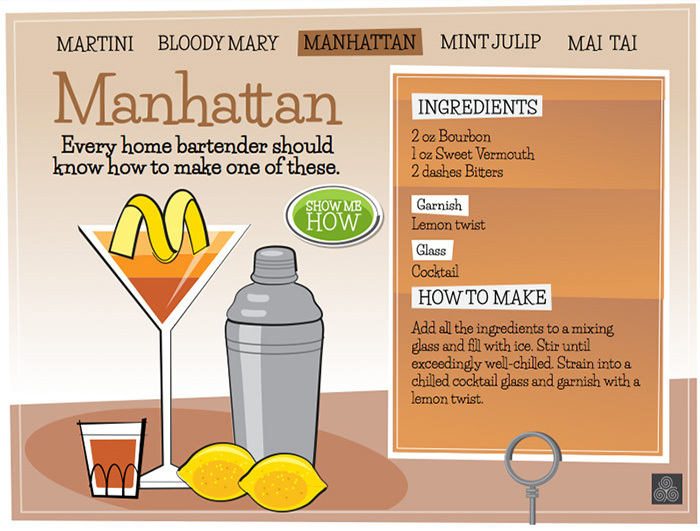 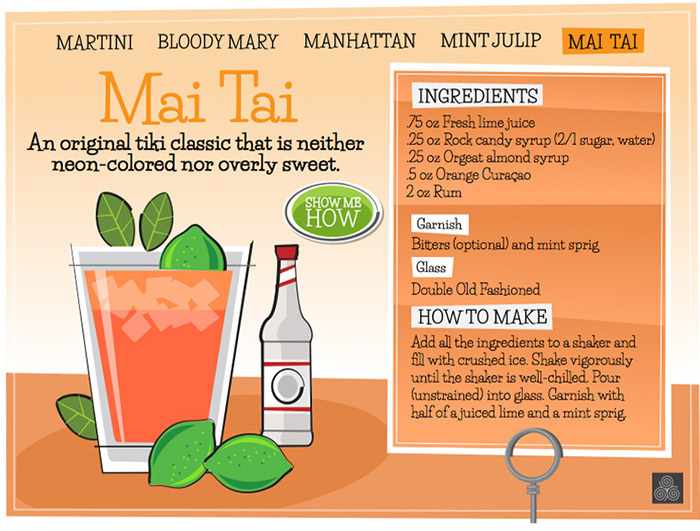 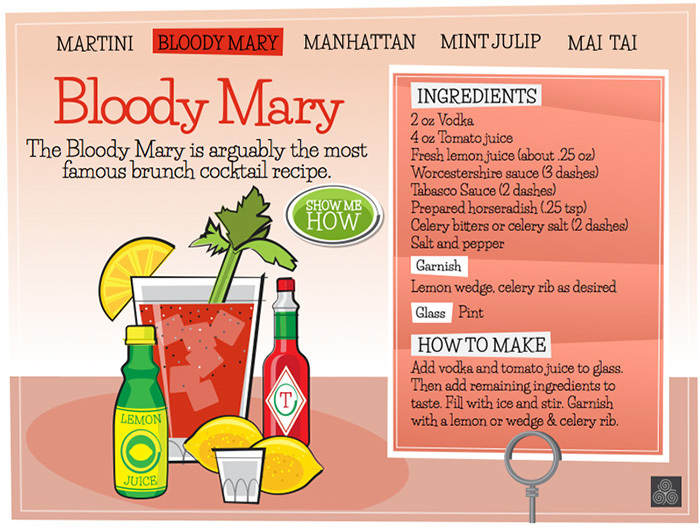 The recipe list includes the Martini, Bloody Mary, Manhattan, Mint Julep, and Mai Tai. 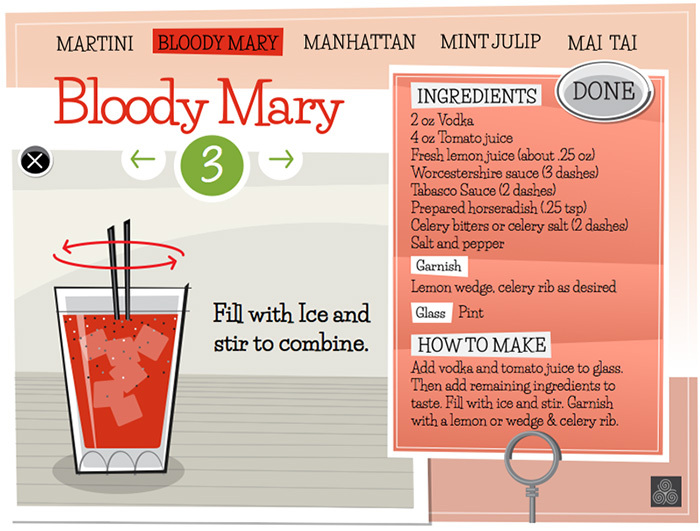 Installation is easy as adding a "div" element to web page's html. 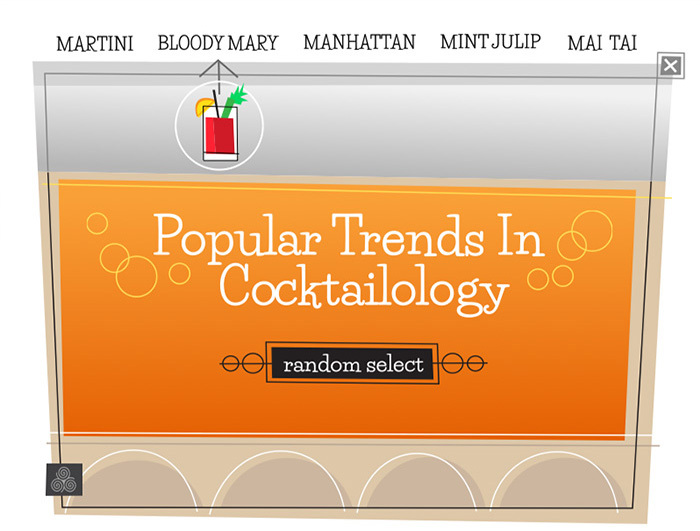 The Cocktail Trends component navigates through content interactively via a main menu. 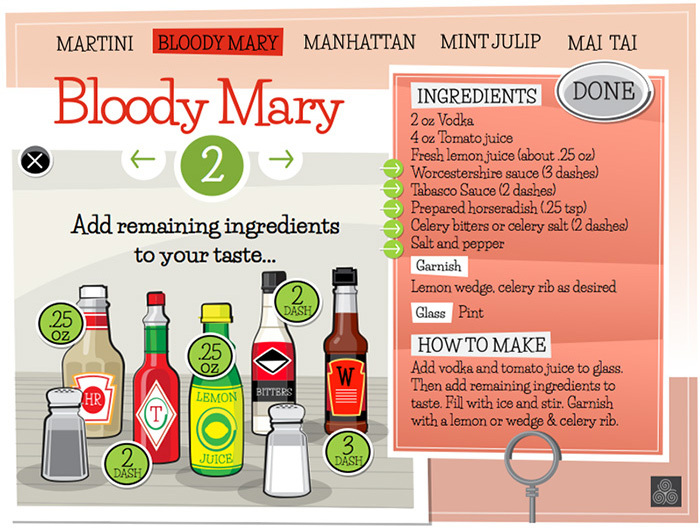 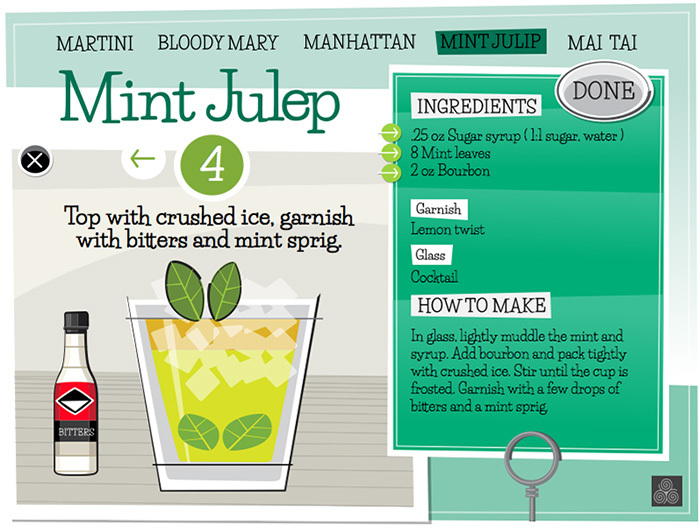 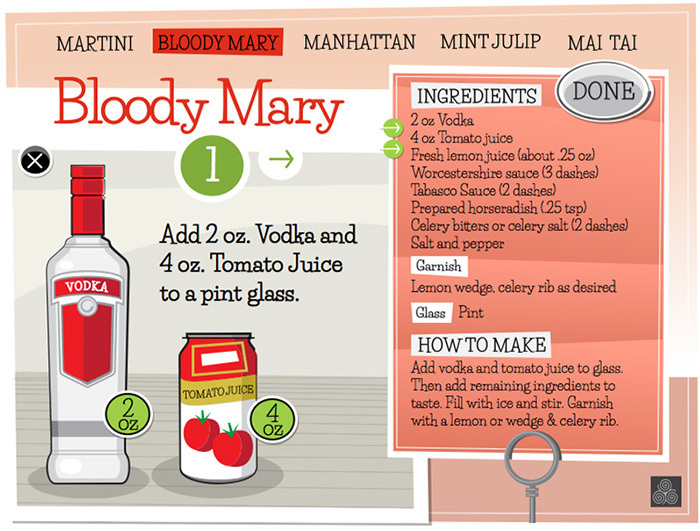 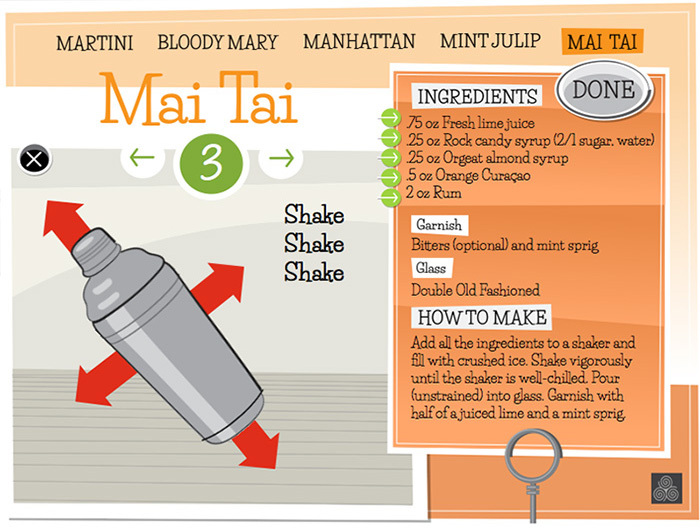 Each drink recipe provides a static recipe list with the option to view step-by-step animated instructions. 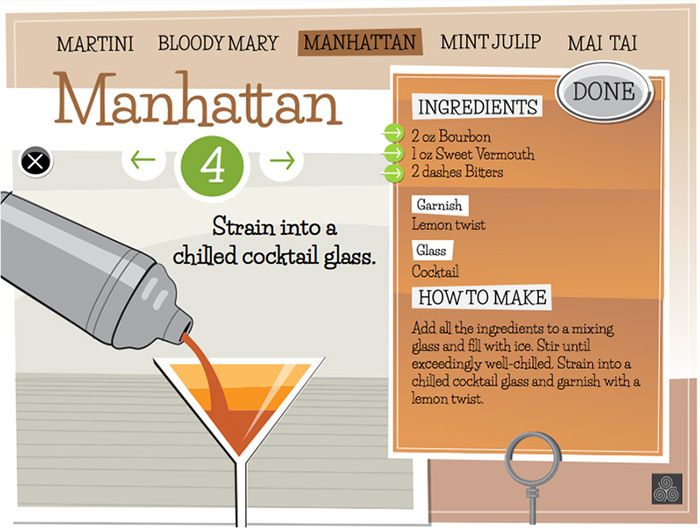 The component launches into a intro panel that assists the user in making a drink choice. 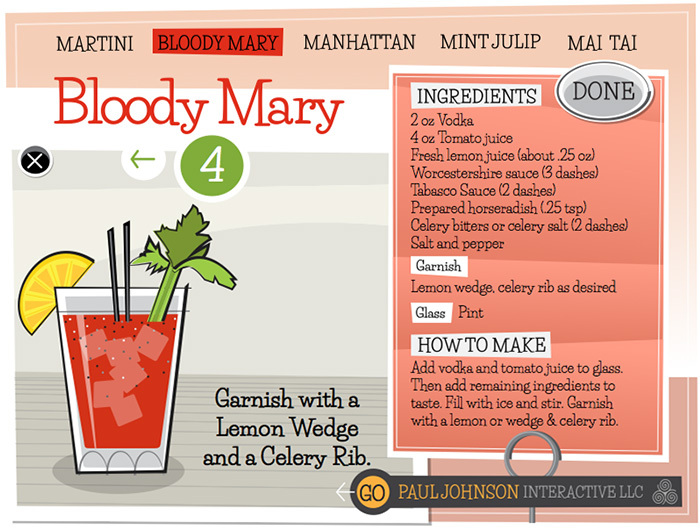 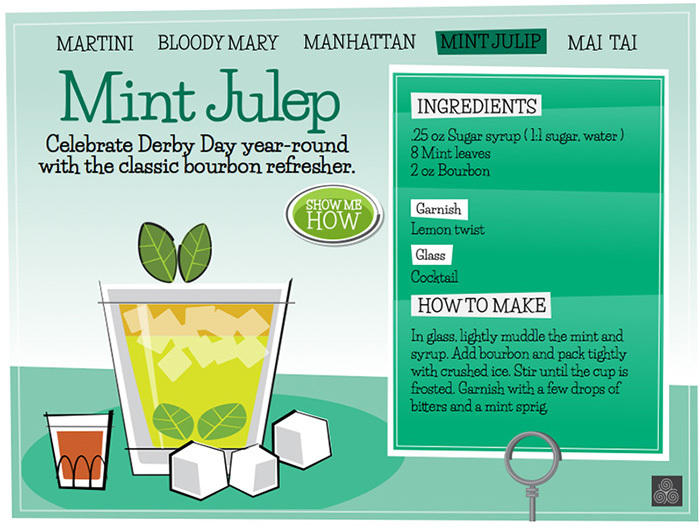 Cocktail Trends was built using Adobe Edge Animate CC and Adobe Illustrator CC.